AXA XL today announced the promotion of Jennifer Minors to Senior Vice President –Product Line Leader in its Bermuda Professional Lines Insurance business. “Ms. Minors is responsible for managing Directors and Officers [“D&O”], Professional Liability, Employment Practices Liability [“EPL”], Wage & Hour [“W&H”], Transactional Liability [“TL”] and Cyber Liability underwriting activities,” the company said. “Ms. Minors has 17 years of experience in the insurance industry. She has been an underwriter in Professional Liability Coverage since 2002 and currently focuses on Errors & Omissions [E&O], TL, Cyber, D&O, EPL and W&H Liability coverage for Fortune 1000 companies and AMLAW 200 law firms. “Ms. Minors, who reports to Matthew Irvine, AXA XL’s Bermuda Professional Lines Chief Underwriting Officer, joined AXA XL’s Bermuda Professional Lines team inJanuary 2015 as Vice President. “She subsequently held the role of Underwriting Manager, E&O Product Leader,further developing the E&O portfolio through disciplined underwriting and building new and existing relationships within the insurance industry. 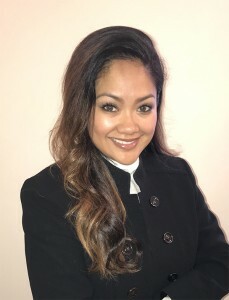 “In addition to this, Ms. Minors was seconded to AXA XL’s London and New York offices on two separate occasions to expand her knowledge and refine her skills in Cyber Insurance Liability and TL Insurance Liability underwriting.Within the last 18 months, she has focused on building the Bermuda Professional Lines team’s TL book of business, taking the lead in establishing a Bermuda solution to clients’ needs within the TL market. Mr. Irvine added: “Jennifer has been instrumental in building our Bermuda platform’s capabilities and complementing the company’s overall global Transactional Liability strategy. She plays a critical role in building our Bermuda broker relationships and strengthening our connections with U.S. broker networks and their clients.